On its way this 2018 is a new LEGO movie starring the scarlet speedster, The Flash! 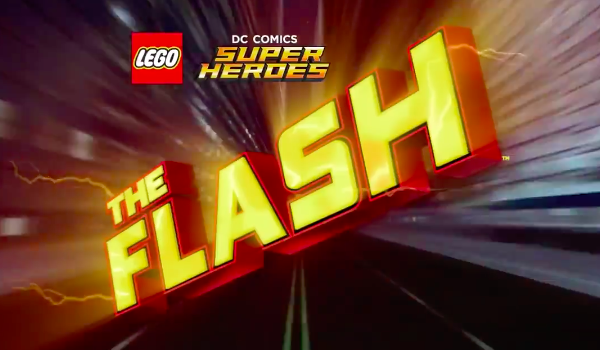 In LEGO DC Comics Super Heroes: The Flash, Barry gets fired from the Justice League after its members had enough of his pranks. Problem is, it was not his doing! It's the Reverse-Flash! It's now up to him to correct the timeline and restore his connection to the Speed Force. The straight-to-DVD movie also features new DC characters Atom, Krypto, and Ace the Bathound. It's original song, “It’s Magic,” is written by Tim Kelly and Jeremy Adams, and performed with enthusiastic zest by the trio of The Flash (voiced by James Arnold Taylor), Zatanna (Kate Micucci) and Doctor Fate (Kevin Michael Richardson). Lego DC Super Heroes: The Flash releases digitally February 6, with a Blu-ray and DVD release shortly after on March 13.